She said, it is also observed as Senior Citizens Day, and recognition is given to senior citizens who have contributed to the building of a strong republic in the various discipline. 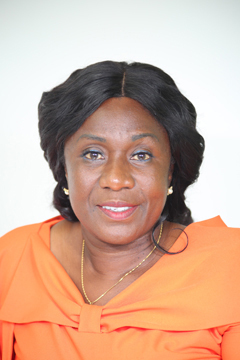 The Honourable member of Parliament for Domeabra Obom said in her statement that Ghanaians should reflect on the need to continue providing the requisite social infrastructure to support the senior citizens, such as the improvement of the operation of the Social Security and National Insurance Trust (SSNIT). Equally worthy of note is child labour which must be stamped out as well as streetism, so that the children would spend their days in school and become responsible citizen. She appealed to the media houses to devote enough airtime to educate the youth on the rationale for the day and inculcate in them the spirit of selflessness and patriotism. Members also expressed concern over the inability of some needy students to access tertiary education. Hon. Samuel Okudzeto Ablakwa, a former Minister of Education in Charge of tertiary education bemoaned the charging of high school fees and penalty fees for the delay in paying school fees in many tertiary institutions. There were observations that it would not be useful to complete Senior High School and fail to go for further studies for lack of money. Scholarship alternatives and involving more stakeholders and sponsors from financial institutions and other arrangements were thought of as avenues worth considering as alternatives. The universities have been asked, with other tertiary institutions to bring the charges to parliament for approval. In the main, the support for needy students stood out as they are the human resource of the nation.